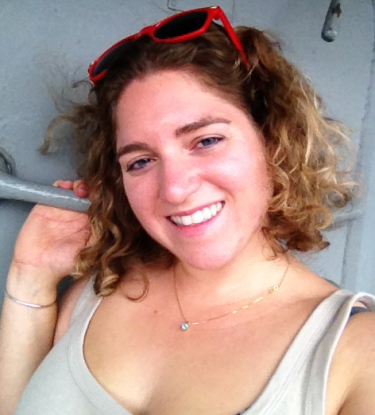 Our guest blogger is Lindsay Hirt, a conservation advocate from Plymouth, MA, specializing in risk management for whales and dolphins. She recently earned her M.S. 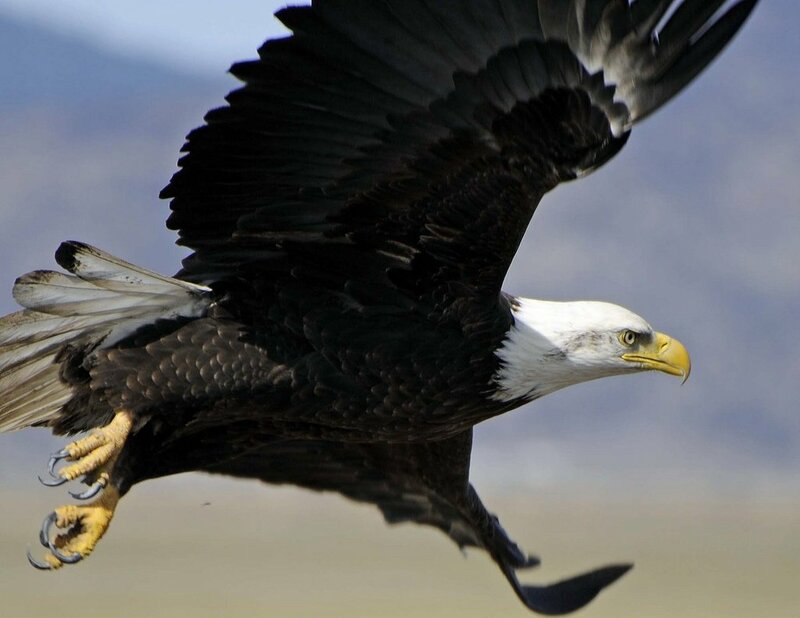 in Emergency Management at the Massachusetts Maritime Academy in Buzzards Bay, applying concepts to both general wildlife management and disaster issues. 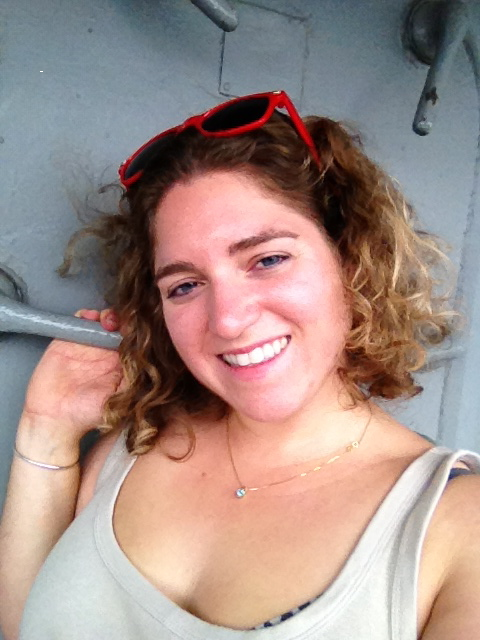 Lindsay was an instructor during the Beach Ambassadors training, educating volunteers on marine mammals of the area, as well as an Ambassador herself and reports on her experiences over the summer. With Labor Day in the rear view mirror, thousands of Plymouth residents and visitors have begun to pack away their beach gear. Although summer does not officially end for another few weeks, the turning of the calendar makes it feel like autumn is on its inevitable way. It also marks the end of a second successful “Beach Ambassadors” season for the Goldenrod Foundation. It seems all too recent that I was teaching and training alongside my fellow Beach Ambassadors. We worked hard to learn about the coast; we taught each other what we know about beach ecology, about wildlife biology, about how to manage the shore while still having fun alongside it. Most importantly, we had the opportunity to share that knowledge with others. 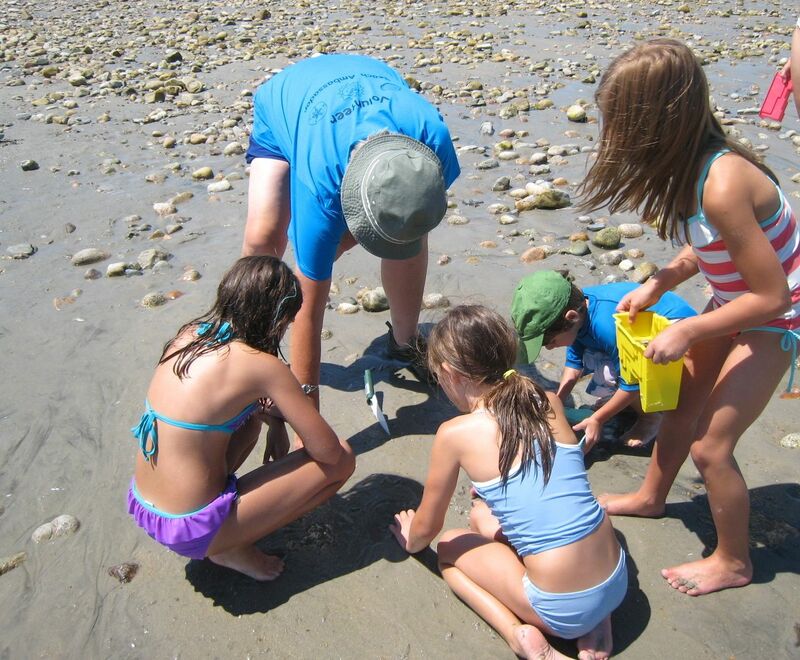 Goldenrod Foundation’s program manager, Dorie Stolley, developed the Beach Ambassadors program as a fun and outdoorsy volunteer-based set of nature and observational activities created to pass along awareness and appreciation of our local coastal environment. As a Plymouth resident, I take tremendous pride in the outstanding natural beauty we are blessed with in America’s Hometown. It is rare for me, even after almost three decades of calling Plymouth my home, to pass by areas like Nelson Park or Plymouth Long Beach and not appreciate the unique environment of southeastern Massachusetts. So often people spend an entire day at the beach without actually seeing it, and our volunteers are glad to change that. Many times during a shift at the beach, a fellow volunteer or I would show someone a preening osprey in the scope, or how to dig out giant surf clams hiding in the wet sand, or watch a child match mermaid’s purses and crab shells to a picture key. The participants were observing their beach in a novel way, and as a result they will never view it the same again. 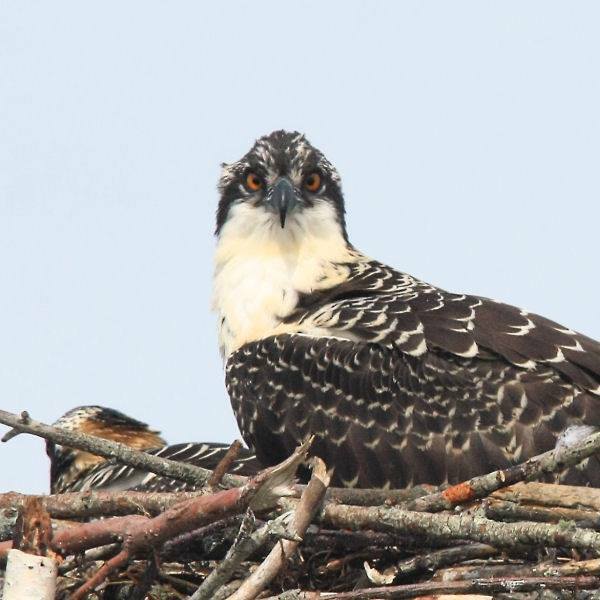 Visitors watched osprey through a spotting scope. And, the osprey watched back! Photo by Gene Harriman. Of all the outreach I have done, both as a part of the Beach Ambassadors and through other environmental organizations, one of my greatest memories occurred just a few weeks ago. While working at Nelson Park, I had the opportunity to connect with a youngster who is deaf. At seven years old, this child had been struggling with her deafness, and her mother explained she had yet to find anything she could truly be passionate about as a result of feeling left out. 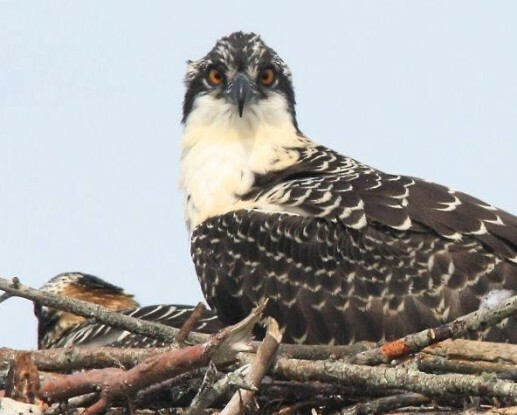 As her eye fell to the osprey on a nesting platform struggling to gut a fish, her attention was captivated in a way as never before, and upon exiting the activity area, she signed a message to her mother, who then joyfully relayed the message to me. “I want to be a biologist just like that lady when I grow up.” As much as I love my work, it is not every day that my emotions are buoyed by such a moment. It is exactly the kind of interaction I strived for when I started with Beach Ambassadors, and lasting inspirations like that one are the best takeaway to reflect upon. A Beach Ambassador leading nature discovery games for kids. Photo by Dorie Stolley. The beach is more than just a place for people to get some R&R. It is a barrier, protecting our coastal communities from the full force of storms and tidal surges. It is a home, a rest stop, and a nursery to shorebirds that literally give the beach life. 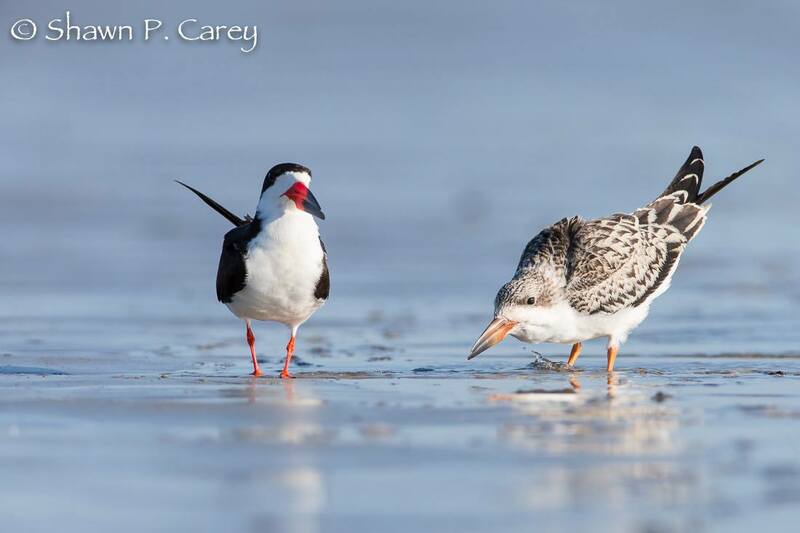 This year, we were lucky enough to have a pair of black skimmers, the northernmost successful nesting pair in the state of Massachusetts. Literally thousands of people walked by these striking, oddly shaped birds on Long Beach without even seeing them. As a marine mammal biologist, I am used to pointing out gentle giants of the sea, but I found that opening the public’s eyes to the wistful shorebirds they share space with was just as rewarding. Black skimmers raised two chicks on Long Beach. On the left is an adult, on the right, a chick. The beach is also a place of discovery. In our training, volunteers were fortunate to work with Dorie and other experts, who filled in knowledge gaps regarding shorebirds. This summer, I was introduced to a bird I had not known about before, the ruddy turnstone. When combined with the rich variety of skimmers, terns, plovers and more, it meant that each day offered something new, even for those of us that have been working on the beach (or just offshore of it) for years. Many of us have worked and sacrificed to raise awareness and preserve wildlife and its precious environment, and so I am sure that for the volunteers, the only thing that changed this summer was the shirt we wore identifying each of us as a Beach Ambassadors volunteer. I am equally sure that we will always be ambassadors of the beach, sharing the passion we feel for it with those around us. It is my sincerest hope that those we reached out to this summer will do the same, whether they are officially part of the Beach Ambassadors program next year or not. Spreading the word about programs like Beach Ambassadors and the knowledge gained from them is perhaps one of the greatest contributions to coastal conservation, because if a message can touch just one young person, it may inspire a life of conservation actions, leading by example and becoming a positive influence for the sea and the shore. Join us next year on the beach. You’ll see what I’m talking about! 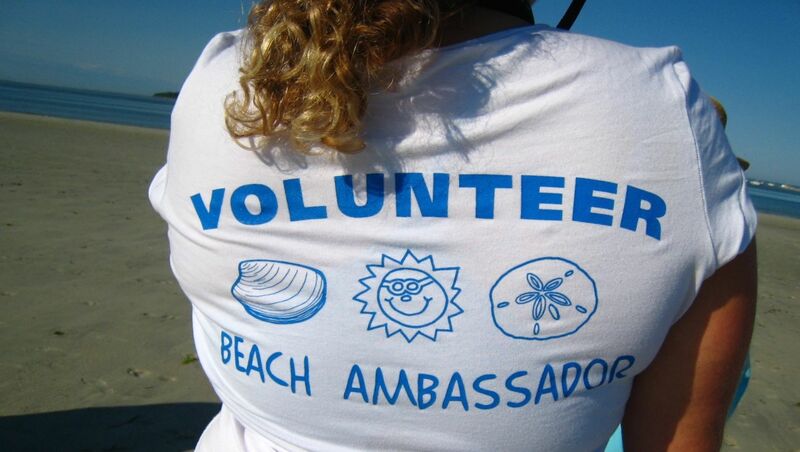 If you are interested in learning more about becoming a Beach Ambassador, please email: dss@goldenrod.org.